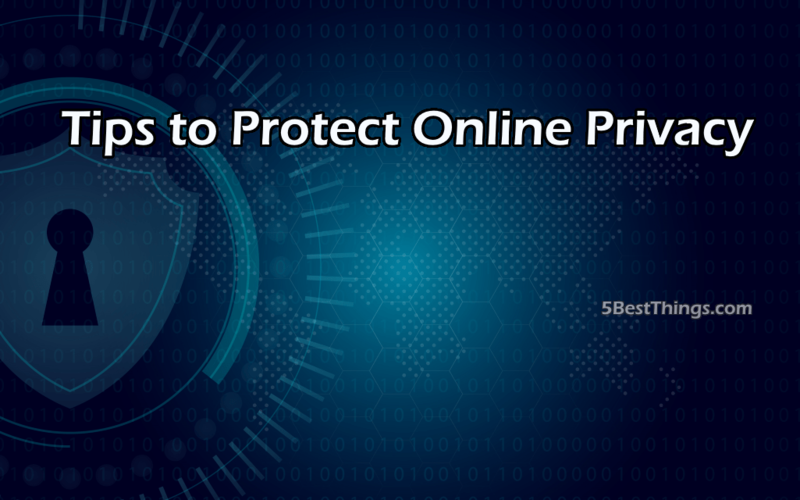 As more people throng the internet today, so also are the ‘bad guys’ on the web increases, therefore, putting a higher obligation on us to keep our privacy online. And it’s now an essential thing to consider for every internet users. If you think you think you don’t have anything to hide, so you don’t need to worry about keeping privacy, I will want you to think again as there are lots of guys on the web today that are looking for every opportunities to get into your personals. If I were you, I wouldn’t joke with my privacy unless you want your credit card pin, vital document and that your private schedule finds its way into the wrong hands. There are a few apps like Whatsapp and Signal that you can use to encrypt the messages you send so that it is only readable by the people you sent the messages to. These apps use end-to-end encryption to encrypt your messages and are only decrypted by the receiver upon reception. Apps like Protonmail can also be used to fully encrypt email upon sending. However, you should also note that, though you use some apps to encrypt the messages or emails you send if the receiver is not using the encrypted services as well, your messages will be sent unencrypted. It can be very dangerous and risky to click through a link in an email; it could cause you to lose your most valued data into the hands of a bad guy somewhere online. Therefore, it is recommended you never visit your bank’s website or other important websites by clicking a link in your emails. Whenever you click a link, watch out for the green lock icon and company name on the left of your URL bar to be sure the site is safe for you to browse. Whenever you install an app, it will request a full permission to your data and some other feature on your phone; like gaining a full access to your contacts, media, or even your phone dialer. Therefore, it is wise that you be mindful of the type of apps on install on your phone. Just one ‘bad’ app installed on your phone could lead to a very serious privacy threat you may regret afterward. You will need to be very careful of free apps; don’t forget if an app is free, it only means you are paying for it in some other ways. Many search engines record your search queries and use that to serve you relevant ads that fit your tastes. But for privacy purpose, I will recommend you switch to some certain search engines like DuckDuckGo or Qwant that doesn’t keep a record of your search queries. This makes you more secure online. You can prevent many companies from knowing which website you are browsing; they often do this in other to serve you relevant ads and this could sometimes pose a privacy breach. Therefore keep them away and stay safe by using No logs VPNs for Privacy. Browsing the web with Virtual Private Network (VPN) is a good way to protect yourself from the bad guys online. This a very useful tool to protect your privacy online especially when you are using a public Wi-Fi. It works by encrypting your data and thus preventing websites and other strangers from accessing your browsing data online as well as where who you are and where you are browsing from. This is a sure protection for your privacy.